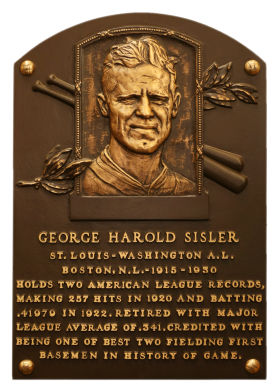 Like Babe Ruth, Sisler's hitting was too good to be on a pitcher's schedule. 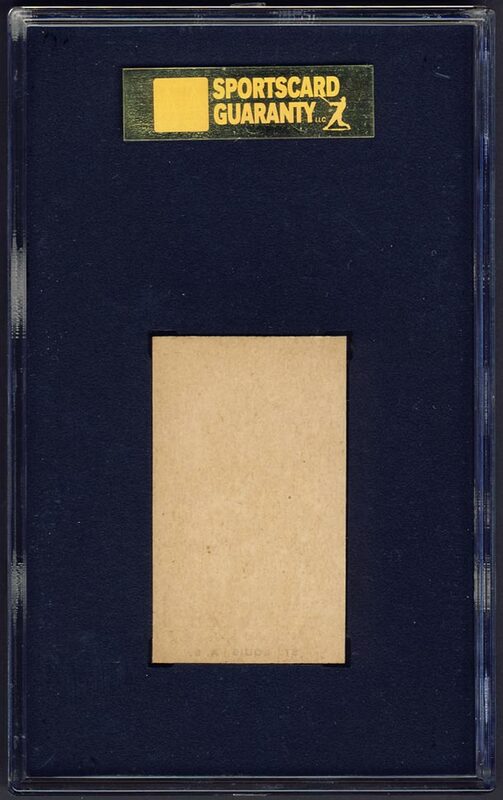 He was switched to first base full-time in 1916 for the Browns and became one of the best, defensively. At bat he was simply unbelievable, hitting .407, .371, and .420 from 1920 to 1922. In 1920, "Gorgeous George" collected 257 base hits. A sinus infection that affected his vision sidelined him in 1923. He returned to play seven more seasons. In June, 2005 I decided to replace the 1940 Playball tribute card with a contemporary issue and chose the W551 strip card. I found a SGC 30 example via eBay which was then upgraded to a SGC 86 example in September, 2006. On November 5, 2008 I won another eBay auction - this time upgrading to the SGC 92 example shown. 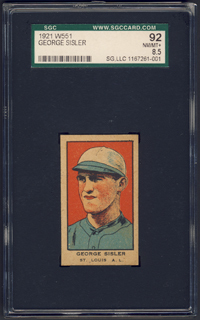 Description: This Sisler is one of ten "Strip set" cards issued circa 1920. They measure 1-3/8" X 2-1/4" and feature color drawings. The cards are unnumbered with blank backs.